Joaquim Marques Lisboa was born on December 13, 1807 in the city of Rio Grande. His military career began when Lisboa was 15 years old. In 1822, he joined the Navy as a volunteer and participated in the War of Independence of Brazil. He also participated in the Cisplatine War, Ragamuffin War, Uruguayan War, and Paraguayan War, devoting most of his life to the Navy. Lisboa died in Rio de Janeiro on March 20, 1897. His last will summed up his life stance and character. Lisboa requested that his tombstone read “Here lies the old sailor” (Aqui jaz o velho marinheiro!). Shortly after his death, Lisboa was proclaimed the patron of the Brazilian Navy. His birth anniversary is observed as Sailor's Day. Sailor's Day in Brazil is celebrated with official ceremonies, military displays and other relevant events and activities. By the way, it is not the only holiday celebrated in the Brazilian Navy. 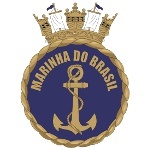 On June 11, the naval service branch of the Brazilian Armed Forces observes Brazilian Navy Commemoration Day. It is dedicated to Brazilian victory in the Battle of the Riachuelo (1865).